Leafy greens can be eaten from so many different types of vegetables and plants. When you make sure they are organic and not GMO, they will sustain your body and mind in incredibly surprising ways. 1. Kale – This leafy green is full of vitamins A, C and K, carotenoids, and flavanoids – two important cancer fighting ingredients. It contains more iron than many red meats, too! 2. Parsley– An amazingly healthful herb, parsley is often thought of as just a garnish, but it has much more to offer than just a pretty, green face. It is full of vitamins K, C, A and folate. Parsley also contains important volatile oils including myristicin, limonene, eugenol, and alpha-thujene as well as many flavonoids—including apiin, apigenin, crisoeriol, and luteolin. Parsely is considered a ‘chemoprotective food’ that helps to minimize carcinogens in the body. Here are some parsley health benefits. 3. Spinach – This leafy green is so powerful it can reduce skin cancers, ovarian cancer, and prostate cancer. Spinach is full of vitamins A, K, D, and E, and minerals manganese, potassium, and magnesium. The pop-eye veggie also contains a substance called apigenin, which has specifically been shown to be help with several cancers. 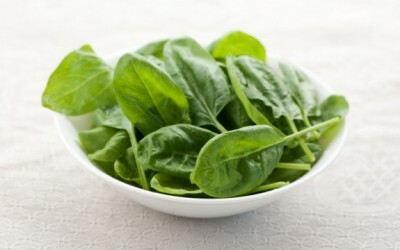 Spinach is a great source of Omega 3 fatty acids, and also supports bone health. 4. Arugula– This leafy green is full of magnesium, potassium, and vitamins A, C, and K. The herb is also pact with phytonutrients to keep your body free of cancer. Ancient Romans also found that arugula was an aphrodisiac. 5. Sunflower Greens – Sunflowers offer incredible health benefits, and you can eat many parts of the plant. Finding fresh sunflower sprouts is very difficult, but it is so simple to grow your own. Sunflower greens offer one of the most balanced forms of a complete plant protein around. They provide all the essential amino acids and help to repair muscle tissue while supporting the enzymes of the body to do their jobs as well. In addition, they are full of other health-boosting nutrients. Here are just 11 reasons to grow and eat sunflower greens.